TOKYO (Feb 2): U.S. oil fell on Thursday after official data showed U.S. crude and gasoline stockpiles rose sharply, although signs that OPEC and other producers are holding the line on output cuts are helping support prices. 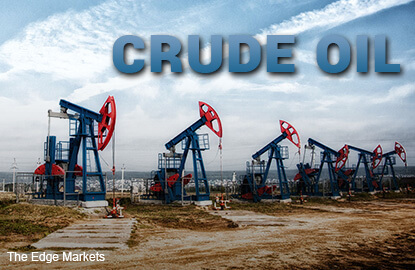 Front month futures for West Texas Intermediate were down 34 cents at $53.54 a barrel at 0016 GMT on Thursday. They rose $1.07 to close at $53.88 the day before. Trading of Brent crude had not started. The contract settled up $1.22 a barrel at $56.80 on Wednesday. U.S. crude stocks grew last week, along with gasoline and distillate inventories, the Energy Information Administration said on Wednesday, as refiners let stocks build further in a seasonally slow season for production. Crude inventories rose 6.5 million barrels in the week to Jan. 27, far exceeding analyst expectations for an increase of 3.3 million barrels. But indications that producers from the Organization of the Petroleum Exporting Countries and others including Russia are curbing output helped underpin prices. Russia cut production in January by around 100,000 barrels per day (bpd), according to data seen by Reuters. Earlier this week, a Reuters survey found high compliance by OPEC with agreed cuts.